Online Casino London | Want to join a real UK casino today? This time the Viking is back from trying out a brand new online casino. Online Casino London is the name of this casino and what a great time he had there. He found this casino was one from the operators Jumpman Gaming Limited. They have brought players countless hours of entertainment within their other online casinos and this one is no different. This is because of facts like this casino is licensed by both the UK Gambling Commission and the Alderney Gambling Control Commission. This means players from around the world can enjoy themselves at this casino. He also knows his readers will love to find out that this casino supports tablet and mobile devices meaning they are free to play on the go. Throughout the rest of this review, the Viking will be looking at the promotions, games, suppliers, support options, and payment providers. The first offer the Viking would like his readers to know about is the welcome offer. He found this offer to be most enjoyable as it was a free spin of a mega reel. This offered him the chance to win big on even a small deposit amount. Of course, this offer is only available to new players on their very first deposit. Never fear though as they offer other promotions that can be claimed after it. This includes promotions like cash back offers and free spins on slots. He would also like to remind his readers about terms and conditions and the importance of reading them. This is because they will state important information like wagering requirements. Slots and Jackpots. That is the main source of entertainment at Online Casino London. They do offer a few other types of games like Bingo, Roulette, Baccarat, and some other table games. The biggest advantage of focusing on Slots and Jackpots this is that they have some of the most popular and timeless ones all from the top iGaming suppliers. This means you will find Starburst by Netent, Pixie Wings by Pragmatic Play, Burning Wins by Playson, and White Rabbit by BTG to name only a fraction of them. 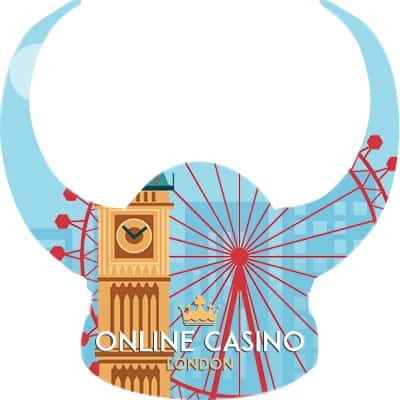 When looking into the payment providers the Viking found that Online Casino London supports VISA, Maestro, Paysafecard, MasterCard, and a handful of others. The Support options at this casino include an FAQ as a self-help centre for players to solve simpler issues. Then there are two options that will put users in direct contact with a member of their support team. They are email contact and a live chat. The Viking’s final verdict on this casino is a good one. He loved sailing to the Online Casino London and using this user-friendly website on both his mobile and desktop devices. He also loved the great selection of Slots and Jackpots and the fact that more are being added on a regular base. So there you have it, all the facts straight from the Viking himself. If you would like to follow him and see Online Casino London for yourself just use the link above and sail there now.